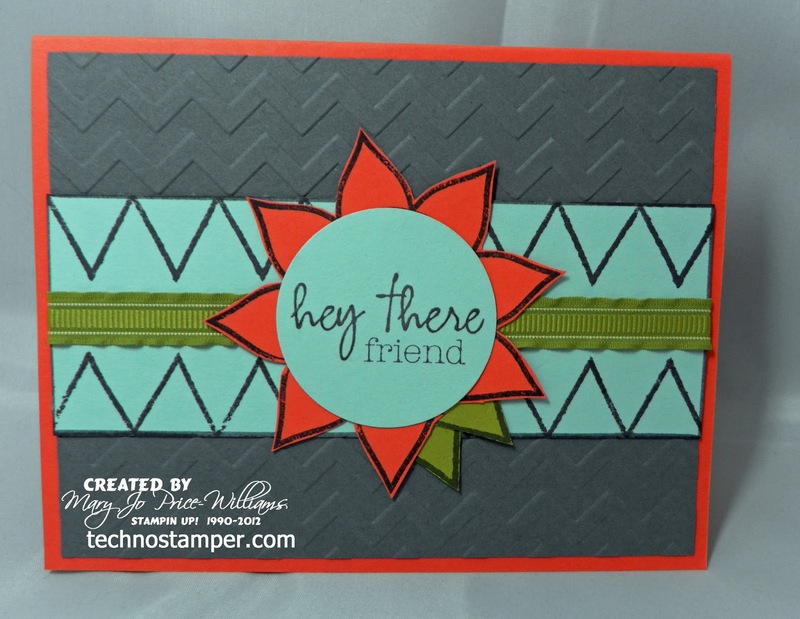 Techno Stamper: Duel Challenge--from Stampin Up! 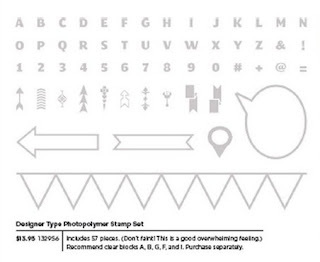 And then it is combined with the challenge to use the Designer Typeset Photopolymer Stamp Set. How could I not play along with this one--I have had this set for a week or so but only used it on the Friday Flashback card I did for this week--it was so fun to create a new saying for an old image--if you missed that post you can view the card HERE. So I ending up having so much fun with the challenge that I made three cards! It is really fun to use the set in different ways--but you knew that was what I was going to try to do anyway! 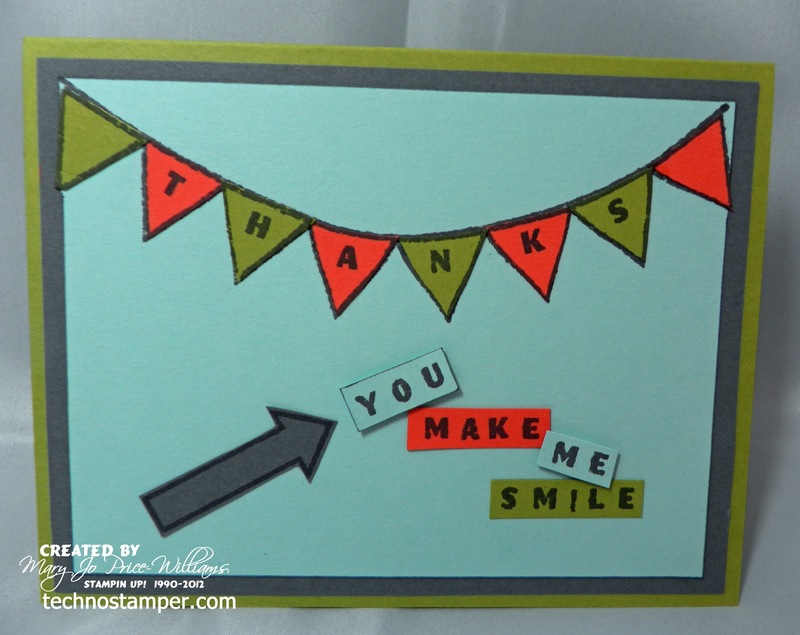 The first card I used the banner part to make a cute little strip element and a darling flower! I added the Hey There Friend stamp from the Paper Pumpkins set! 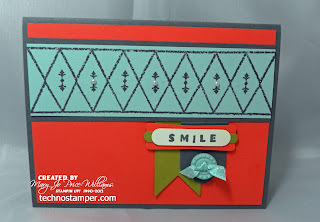 I loved the zig zag look so I used the embossing folder for the background. 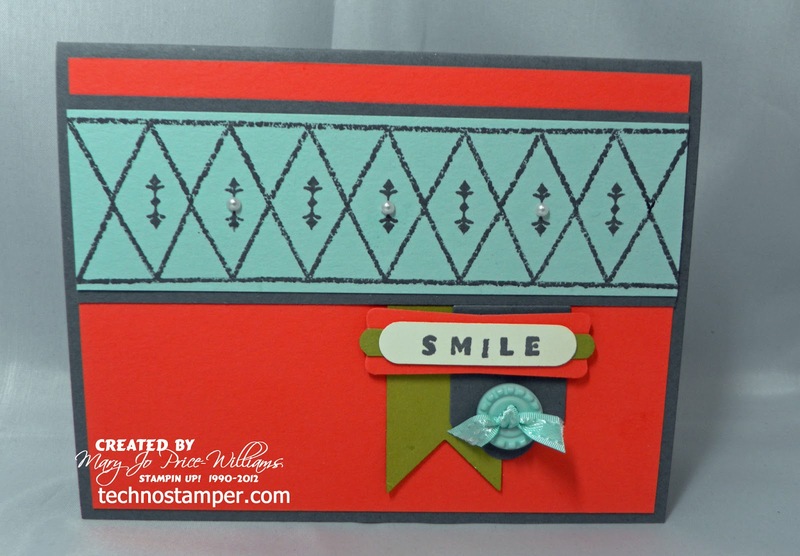 Next one has the same type of strip element but I stamped the banner closser together to get a different look. then I used one of the little stamps in the middles with a few tiny pearls and some fun banners using the Hearts a Flutter Framelits. 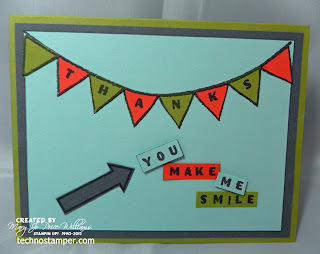 Add a button and sentiment of choice--with the fun little letters and you have a sweet little card to make anyone smile! The last card I used it as a banner but added a cute little saying below the banner and in the banner--so easy to do with the clear photopolymer. So easy to shape the banner how you want it too. I like the simple yet clean look of this card. I hope you enjoyed the samples I made with this set. I am sure you will see lots more of it soon.! Don't forget you can purchase the set for the next few days with FREE shipping until the 8th! 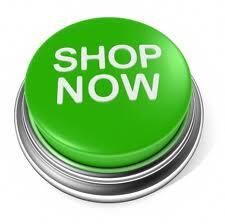 Thanks for stopping by today--enjoy the rest of your weekend!